So how do businesses start a conversation? (Entry was posted by Tony McCreath on this post in the Dumb SEO Questions community on Facebook, Thursday, October 23, 2014). I am posting, below, the entire comment on an article I wrote for Forbes on the three social media traps most companies fall into: http://goo.gl/qSajA4. I replied in detail to the questions raised, on the site. The reason I am posting this here, however, is because the questions it raises are brilliant. They echo almost to the word questions I hear being raised in corporate and small-business settings alike. In themselves they are part of the online conversation regarding what’s changed in marketing. PB’s comment of “How do you market in a venue where you can’t market?” is almost Zen-like in its simplicity and totally captures the magnitude of the challenge (and I partially addressed it on my there is no spoon piece: http://goo.gl/bjx7aS). The Please Educate Me finale of his comment is something we all actually want, every day, all the time. In the 21st century nothing really “ain’t over, until it’s over” and we’re only just got started. In this very fluid environment we’re constantly learning and questions, like PB’s are so very needed. No offense, David, but what does that even mean? I know what the words mean, but what kinds of conversations? What form would they take? Can you have a meaningful conversation on Twitter? Facebook? How would they start? And let’s assume you can. But, as I understand conversations (having had one or two in my life), a “conversation” is only really meaningful if it’s one-on-one. In which case, it sounds like your proposal would work, IF you’re talking about having individual conversations with individual visitors, each with their own concerns that you can address, and, as a result, build that trust and customer loyalty. And what company on the planet has the time to do that level of (what we’ll call) “customized conversational craftsmanship”? And if I’m wrong about that, how do you have meaningful conversations with a bunch of people at once, ones that “create the opportunity for trust to be formed, and allow that elusive customer loyalty to take place”? If that’s what it’s going to take to “do social media right, ” then is it any wonder that most companies don’t get it right, and hence, don’t get the ROI they demand (from ANY marketing tactic), and abandon it for more traditional marketing? This piece strikes me as a big “work-around” to deal with the fundamental problem with “social media marketing” (an oxymoron if there ever was one): How do you market in a venue where you can’t market? For starters, the social media “experts” (can anyone truly be an “expert” in a field so new and so constantly evolving?) hugely overestimate the average person’s inclination to “engage” with a product or service, via a conversation about that product or service. And customer loyalty? Quite an ephemeral notion. People can be bribed quite easily to switch their loyalties. No offense, but this stuff sounds like something written by someone who doesn’t have to actually do it, and, as such, can indulge in lofty, fluffy, theoretical concepts, that, in the end, are grindingly difficult to execute. And, which, incidentally, bear precious little resemblance to how the world actually works. And if I’m wrong, please educate me. It would be great to have David Amerland pop in for at least a few minutes chat on this topic for out HOA. Tony McCreath has read one of your books and starting on the second one, David. :)? Jim Munro I`d love to. Please send me an invite and I`ll try hard to fit it in. I am writing mostly until next Tuesday so I have some flexibility. Tony McCreath I really appreciate the reshare here. ? 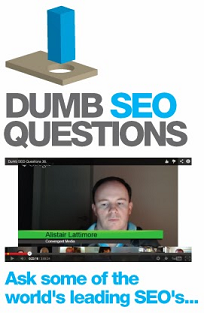 View original question in the Dumb SEO Questions community on G+, Thursday, October 23, 2014). Should we be able to show people the door?